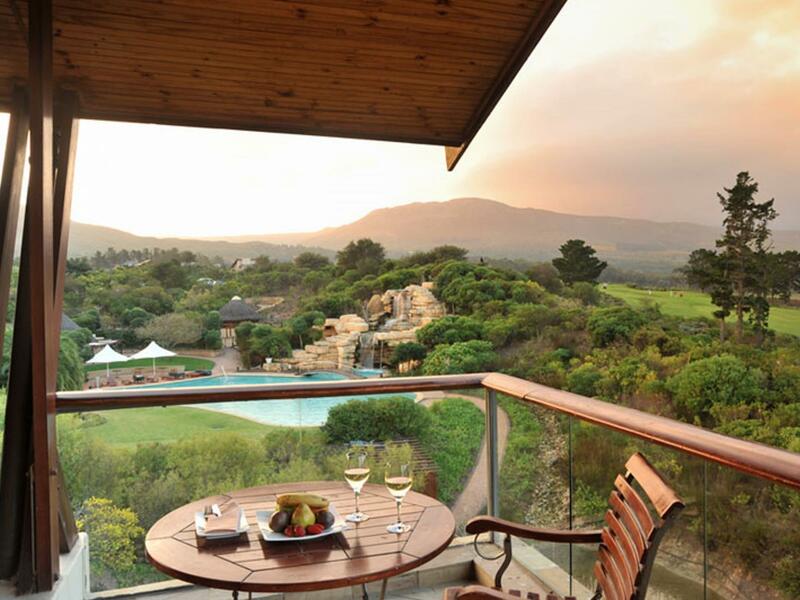 ﻿ African Pride Arabella Hotel & Spa, Autograph Collection Hermanus. JIMAT di Agoda.com! Ada soalan mengenai African Pride Arabella Hotel & Spa, Autograph Collection? Dengan lokasi mudah di Hermanus, Arabella Hotel and Spa adalah tempat yang hebat untuk menjelajahi bandar yang menarik ini. Hotel ini tidak terlalu jauh dari pusat bandar: hanya sejauh 25.8 Km, dan kebiasaanya mengambil masa kira-kira 61 minit untuk sampai di lapangan terbang. Hotel moden ini berada di sekitar kawasan tarikan bandar yang popular seperti Benguela Cove Lagoon Wine Estate. Arabella Hotel and Spa juga menawarkan banyak kemudahan untuk memperkayakan penginapan anda di Hermanus. Untuk menamakan beberapa kemudahan di hotel ini, terdapat khidmat bilik 24 jam, Wi-Fi percuma semua bilik, meja depan 24 jam, Wi-Fi di tempat awam, letak kereta berjoki. Masuklah ke salah satu dari 145 bilik tetamu kami dan tenangkan hati anda dengan pelbagai kemudahan seperti televisyen skrin rata, karpet, kopi segera percuma, teh percuma, linen yang boleh didapati di beberapa bilik terpilih. Hotel ini menawarkan kemudahan hebat, termasuk tab panas, pusat kecergasan, sauna, padang golf (di lokasi), kolam renang terbuka, untuk membantu anda berehat selepas hari yang penuh aksi di bandar. Apa juga tujuan lawatan, Arabella Hotel and Spa merupakan pilihan yang terbaik bagi penginapan anda di Hermanus. we went to the pool restaurant and ordered a caesar salad . It came with no bacon nor egg. When we pointed it out they immediately rectified the situation. My son went and paid the bill without being aware of it. I then asked for the bill and it was handed to me and was about to pay when my daughter in law came to say that it had been settled. Would they have taken the money twice? surely it is indicated on their computer system that it is paid for. We had booked a room for three. The room only had two spa gowns . my daughter stayed an extra night and paid a deposit of R1000 with her debit card. When she left they said they would credit her card that day. being Friday. She phoned on the Monday as the money had not gone through and again on the Tuesday . On the Wednesday they said to her they needed her bank details . Why was this not requested up front? They then said they can only credit on a Friday so she would have to wait. I don't think that this is very good service. I had the most relaxing pleasant stay. Will definitely go back! Firstly it is close to Cape town, it is in a very pretty area, and i thought the breakfast buffet was really fantastic. When I read previous comments I was rather concerned. I guess we were lucky. We never had any problems with hotel or the staff. But I must agree the hotel is not a 5 star, more 4 star +. It is somewhat tired and need a freshing up. For South Africans especially the dinner is very expensive, and not so great. They are lacking something at night, like a bit of light music, or some entertainment. Breakfast buffet was world class. The day we were due to leave our toilet was leaking badly, so did report it, and for the entire length of our stay, our balcony had not been cleaned, empty coke can and packet!!! that's not 5 star!! Very disappointing. No service not even poor service. No bellman. Front desk always busy. Concierge, if you call it that uninformed, unhelpful, business centre printer not working. Lame excuses surliness abounds. Worker took food out of our room without leave. All this in 24 hours...happy to. Westin needs to return to management. Turned a lovely situation in a disaster by cutting staff and salaries. i have stayed at this hotel twice. both times i have been terribly dissapointed. on the first occassion they did not have a room for us and management put us in a house a few minutes drive from the hotel. on the second occassion the hydro pool was not working. we were not informed of this when we booked. management said that they e-mailed the guests but this was not the case. management did not compansate us and did not seem bothered about our complaint. they dealt with us with total disregard. The hotel offers a great Golfcourse and a excellent Spa. The formal dinner rooms offers a great range of south african food. Good size rooms with views over golf course and lagoon. Hotel has excellent facilities - outdoor pool is particulrly nice. Excellent staff. The dining room and food is a let down in an otherwise excellent facility. Breakfast is very good but dinner food and restaurant is disappointing. clearly a 6 star quality hotel with spacious luxury rooms. we enjoyed lounging at the poolside and the comfort of the room. what wasn´t clear to us at the beginning is that most people come here to play golf and there is very little else to do. we did enjoy spending time visiting hermanus (which was about 30 mins), betty´s bay, kleinmond and other nearby places. althouh short stay we really enjoyed it. could pensioners from rsa not qualify for a discount? The hotel was very busy with kids running all over the place - perhaps the management could consider having designated quiet areas for couples to relax. At times, it felt like a market with the constant buzz and chaos. There were also alot of locals coming to the spa or the golf course for the day , hotel guests should have first preference to the facilities. In general, the resort is stunning and we enjoyed our stay. The restaurant staff are very professional. we visited arabella western cape hotel and spa as part of our annual "honeymoon" vacation. we normally select romantic self catering accommodation in interesting locations, but decided to spoil ourselves with a bit of luxury inbetween. especially enjoyed sushi and drinks in the cigar lounge area. will have to come back to experience the spa as our time here was limited. The Arabella Hotel is in a wonderful setting 20 minutes from Hermanus. The hotel has elegant rooms, a wonderful swimming pool, excellent spa and beautiful setting over an inlet from the sea. It is one of the most stunning and peaceful settings of any hotel that I have stayed in, but may be slightly isolated for some. The hotel may be a bit isolated for some but this is fine if you are looking for somehwere to relax. My husband plays golf and although he enjoyed his game very much he said that the course is very difficult- so bear this in mind if you are a beginner as it wouldn't be suitable. 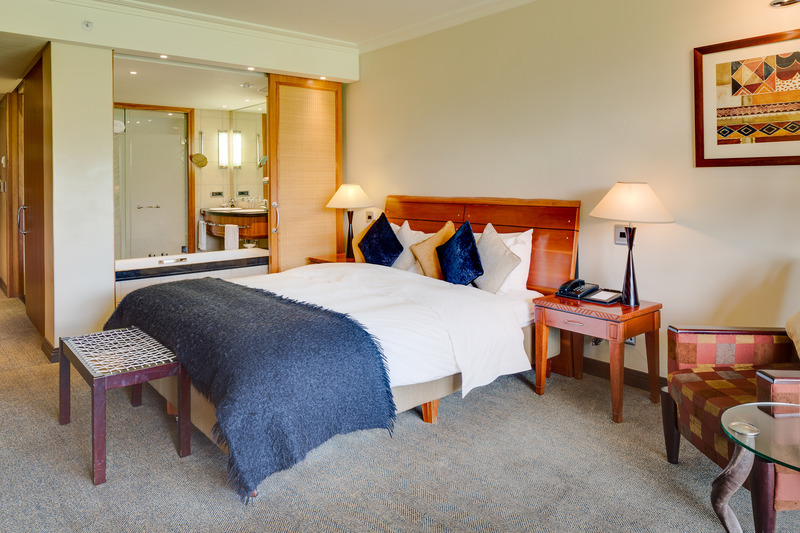 We had two very enjoyable nights at the Arabella and I would go back again - especially as a touring base for the surrounding country and especially if you wish to visit hermanus (20 mins away). The room we were given on arrival was on the ground floor behind a high hedge facing the swimming pool, but the hedge meant that our view from our terrace was completely obscured. As we had booked to stay at the Arabella beacuse of the outstanding location this was a disapointment. However, we raised this matter with the hotel manager and we were moved the following evening (once a room became available) to a higher level with an excellent view of the pooland surrounding countryside. The best views are on the 'lagoon' side of the hotel but these were for reserved for the higher grade,higher rate rooms which we were not aware of when we booked. However, as we had secured a very reasonable rate through Agoda we could not really object to not being given one of these. Superb position and beauty of the estate and laguna. Staff very friendly, cleaning very good, nicely arranged Spa. Toilet space needs better ventilation. Reservation through Agoda has been quick and efficient, and the rates obtained were very reasonable for the category of the hotel. The hotel is superb.The rooms nicely placed whether they look to laguna, as was ours, or towards the swimming pool. The feeling of a luxury hotel is evident, as the services and staff are on that level. The athmosphere of a resort and golf course and to good impression. The food is also very good, the quality and variety wise.One can spend a few days without going out of the compaund as there are so many things to do. We tried the Spa and were very pleased with athmosphere and staff expertise. We will definitely recommend the place to our friends and booking through Agoda.